Getting the help of a recruiter saves you time and money which are the core elements of the success of any business. Many might doubt the idea of getting the help of a recruitment agency amidst the presence of recruitment websites that advertise job vacancies. As a world-class recruitment agency with over 20 years of experience in the recruitment world, Cooper Fitch understands the advantages of recruitment agencies. Significant market knowledge is imperative to the success of any organisation. Reputable recruitment agencies have subject-matter experts who have an in-depth understanding of their field and are up to date with the market situation. An agency like Cooper Fitch which specialises in Banking & Financial, Technology & Digital, Engineering, Supply Chain, HR Advisory, Legal & Advisory, Technical Sales, Sales & Marketing, Accounting & Finance as well as Tax have profound industry insights about the different markets. Their knowledge allows them to advise their clients in the best way about when to hire and who to hire. They will be able to fully understand your needs and will help you fulfil them, unlike recruitment websites which act as a mere delivery portal. Recruitment agencies can also help you negotiate remuneration packages and salaries based on the market studies and analysis that they have conducted. Candidates with niche skills are not easy to find. While recruitment websites will allow thousands of applicants to apply for a vacant job, it will not be able to analyse the skills of the applicants. Recruitment agencies have a reliable database of candidates who might not be available in the market. As an organisation’s leader or HR Manager, you will spend hours going through applicable and non-applicable CVs online. Websites do not have the ability to search, filter, assess and interview candidates like recruitment agencies. According to a study conducted by Brandon Hall Group, 95 percent of the organisations admit to hiring “bad fits” every year. Getting the help of a recruitment agency increases your employee retention and decreases your chances of losing employees due to poor hiring decisions. Hiring the right talent is a time-consuming job that requires time and money. Even though recruitment websites allow organisations to advertise job vacancies, the process of screening and qualifying profiles can take hours. Getting the help of a recruitment agency will save you almost 80 percent of the time you will spending enrolling new candidates in your organisation. From searching to interviewing, you can invest your time in training new employees and focus on the employee onboarding process. You can utilise your time in growing your existing talents and developing your team capabilities. 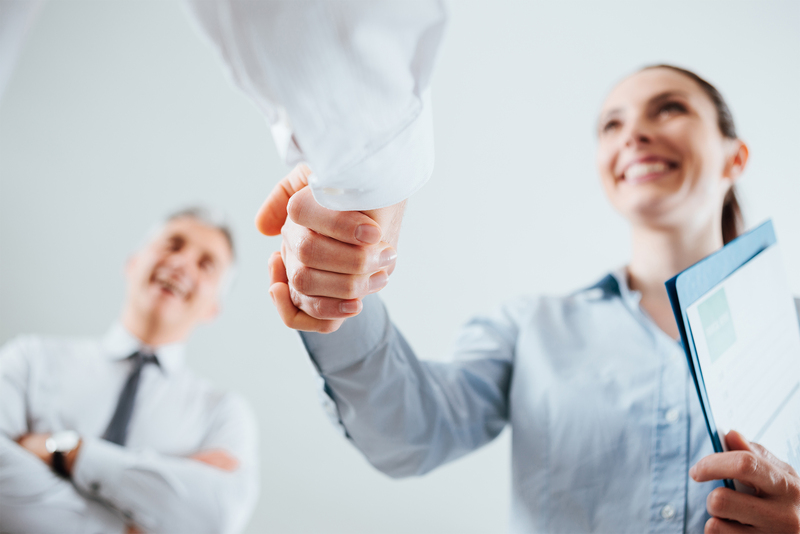 When managers opt to go for recruitment websites, they are risking not opting for the best. The best candidates are usually not actively looking for a new role but recruitment agencies have strong networks and are able to identify passive candidates and reach them. In other words, recruitment agencies are capable of identifying the appropriate candidate that fits your job description requirements for the role and your company’s culture. Cooper Fitch has a proven track record of finding the right candidates and it provides a rebate period where the client can request the recruitment agency to replace a candidate. A recruitment agency takes the candidates through different interview rounds and places them to undergo psychometric tests to ensure that the client gets exactly what they are looking for. While recruitment websites can provide the luxury of announcing a job vacancy, they will not be able to provide the correct brand image. Some organisations may need to keep their hiring confidential for particular roles and this does not allow the business to reflect their brand image or communicate their work culture. If you choose your recruitment agency wisely, they will give your potential candidates a true insight about your business, your work culture and will be a strong advocate of your brand identity. Instead of applicants doing their own research about the brand and stumbling upon irrelevant information, wrong judgments or negative reviews, a recruitment consultant acts as a mediator between the brand and the potential candidates. Hiring the right candidate is either a hit or a miss. Recruitment agencies like Cooper Fitch allow you to get it right every time. Websites do not have the ability to screen, filter or interview the right candidates that fit your company’s culture and your requirements. Getting the help of a recruiter saves you time and money which are the core elements of the success of any business.